What is New York Buzz about? 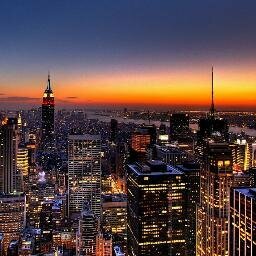 New York Buzz is a blog all about the latest and greatest that New York City has to offer. It's for New Yorkers who want to hear about cool new happenings in their city (and beyond). The blog focuses on fashion marketing & PR, lifestyle and culture, from boutiques to galleries, to designers and restaurants to bars. Anyone who has a cool New York event they want to promote can shoot us an email (via: [email protected]) and we'll consider featuring it on our blog! We're also always on the lookout for interesting New Yorkers to interview - so if you know of one, send them our way! Thanks for your readership. Any Warhol Fans In The House? Where To Party in NYC on Halloween!